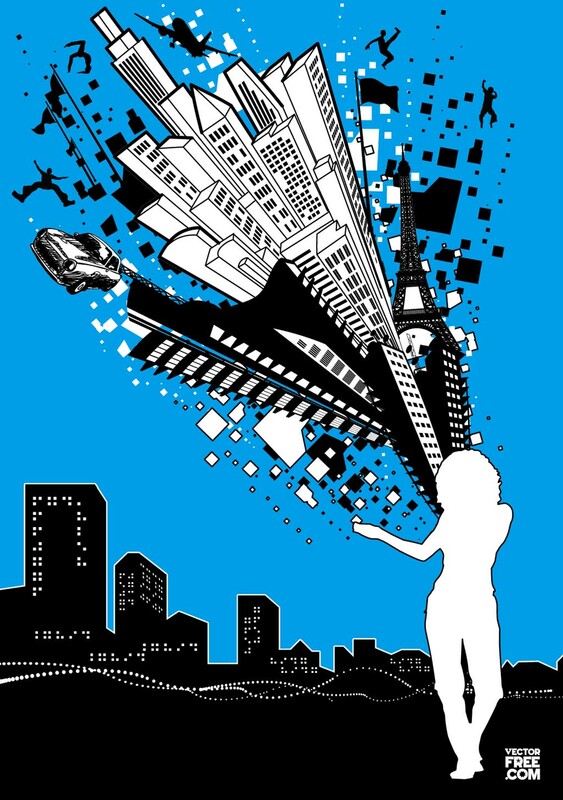 Girl vector silhouette and graphic explosion against modern city skyline. Illustrator elements include abstract buildings, stylized cityscapes, Eiffel Tower, hand drawn car, flags, airplane, squares and active people. Download vector art footage set for your digital art, web and print projects. Tags: Buildings, Car, Explosive, Girl, People, Silhouettes, Skyscrapers, Town.